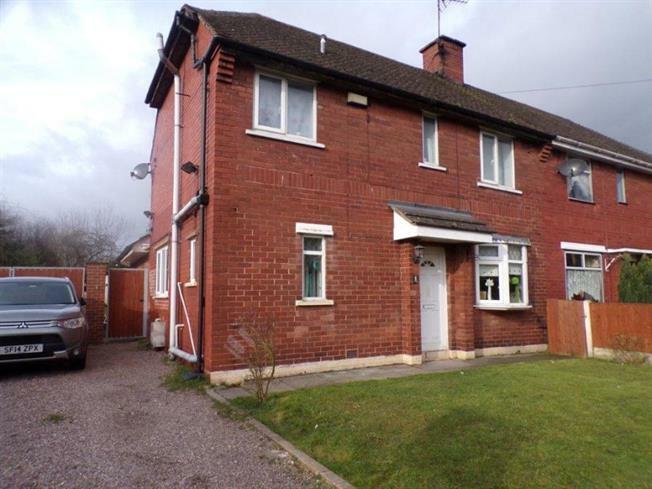 3 Bedroom Semi Detached House For Sale in Northwich for Offers in the region of £175,000. Set in the popular village of Barnton this three bedroom semi detached family home is being sold with no ongoing chain! The location of this home is perfect for commuters with the M56 being a short drive away and benefiting from local amenities within walking distance, making it ideal for first time buyers and families. In brief, the property compromises of an entrance hallway, large open plan living/ dining area, fitted kitchen and downstairs W/C. To the first floor the property has three bedrooms and a family bathroom. All of this sits on a great plot offering a work shop, front and rear gardens and two parking spaces.